Life is busy for most people. With the ongoing stress of work, family, and finances, the last thing most consumers want to worry about is an overdraft. Laws have been changed to require customers to "opt-in" for overdraft fees. Huntington Bank has rolled out a new service, offering customers a free overdraft protection feature for those times when the busy pace of life results in an unexpected overdraft. This feature protects your checking account from overdraft fees for one business day in the event of an overdraft. The service, called 24-Hour Grace, requires a checking account with Huntington Bank. Existing customers can enroll online. A recently released program, 24 Hour-Grace gives the customer 24 hours to make a deposit and avoid an overdraft fee. As long as a deposit is made in the 24-hour period - usually the next business day - following the overdraft, the fees will not incur. This new service is still in the early stages. For now, customers will have to monitor their accounts to know when they overdraw their accounts. It may seem like a flaw now, as many times customers do not monitor their accounts due to a lack of time (or other reasons), which causes overdrafts in the first place. Eventually, the service will include email and text alerts that will let customers know that they have overdrawn their account giving them the opportunity to make a deposit. Customers must make a deposit that covers the overdraft and other charges that the account will incur (such as automatic payments or transactions they have made during that time) for the overdraft protection to kick in. This free service for the bank's customers helps people deal with their particular financial issues since the meltdown in the economy has affected many families. It's also a smart marketing move by Huntington Bank. People seem to be paying more attention to their finances as a result of the current economic conditions, but overdrafts can still happen. Forgetting to make a deposit, an unexpected bill or expense - sometimes overdrafts can still happen. By giving customers a good faith grace period of 24 hours to clear an overdraft, Huntington's approach shows customers the bank is trying to work with them rather than against them. Fees can still be imposed if the overdraft isn't cleared within the 24 hour grace period. But overall, acknowledging that consumers want fair banking rather than trumped up, fees seems like a great move on Huntington's part. The bank estimates it will lose money to the tune of several million dollars by rolling out this program. So what's in it for them? 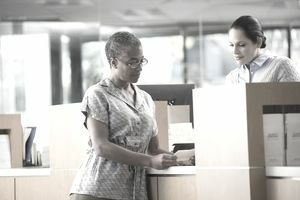 Improved client retention, and, the bank hopes, attracting customers tired of being nickel and dimed by other financial institutions.